Mike Harris, executive VP for research and advisory at Gartner. Once organisations undergo a major digital business transformation, they are left with the question of what's next. This was the biggest takeout from the opening keynote delivered at the 2018 Gartner Symposium/ITxpo in Cape Town yesterday. This year's conference, which focuses on the "Continuous Next" approach, has attracted over a thousand attendees, including CIOs and senior IT executives. The research advisory firm has identified culture, privacy, augmented intelligence, project to product management and the digital twin of an organisation as the five leading ideas that support the framework for the Continuous Next approach. 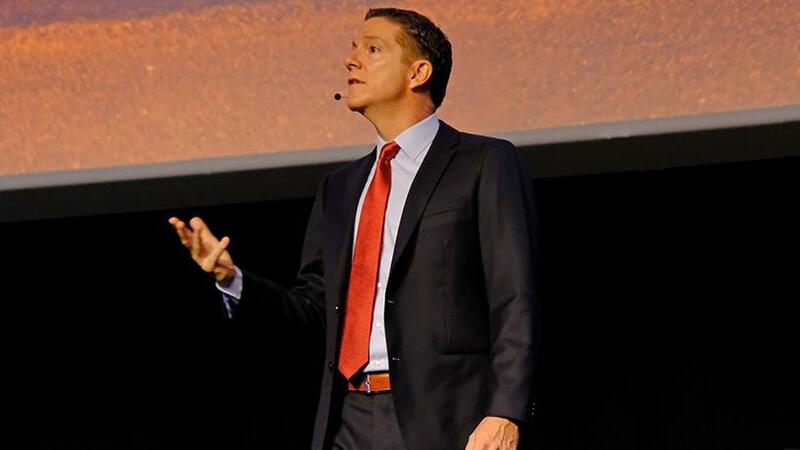 Mike Harris, executive VP for research and advisory at Gartner, said if organisations pursue the right strategy and rapidly adapt to what is next, they will be ready to deal with sustained and rapid change beyond digital transformation. He explained that Continuous Next is a strategy to achieve success in a world that is constantly changing. "There is a simple formula and it begins with mindsets accepting and embracing perpetual change. Mindsets lead to new practices, which are then amplified by technology, leading to new capabilities which when applied lead to new results continuously." Harris noted the transition to digital is undeniable and is accelerating the disruption of governments and business models. He told the audience that the idea that technology is enabling how business and governments conduct themselves is amazing but also incredibly daunting. Don Scheibenreif, VP and distinguished analyst at Gartner, reiterated that Continuous Next is an operating philosophy that represents a new way of thinking about the world that is changing very quickly. Once organisations go through a major transformation, he noted, the question to follow is: what's next. "As we were developing the content for this event this year we kept hearing about the idea of continuous and that gave us a clue that there is an idea there." Scheibenreif explained that Gartner introduced the concept of a digital business about five years ago and during that time the firm has been able to 'dimensionalise' it, which has led to digital business transformation. Kristin Moyer, VP and distinguished analyst at Gartner. Gartner research identifies culture as the biggest reason companies can't change fast enough. 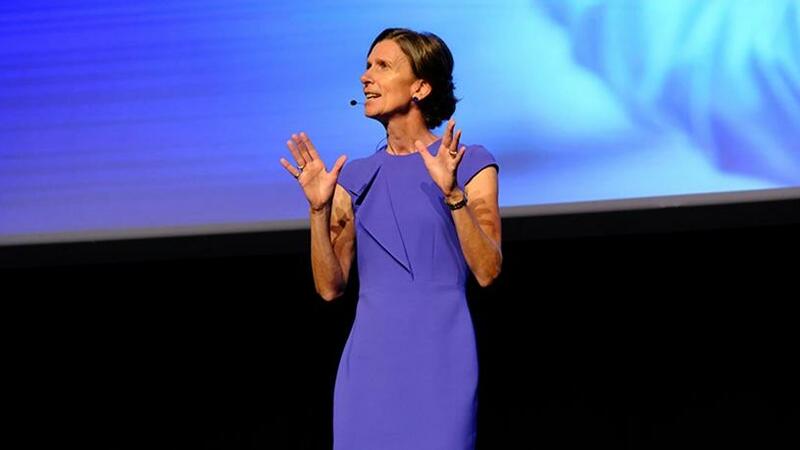 Kristin Moyer, VP and distinguished analyst at Gartner, told journalists during a roundtable discussion that CEOs and CIOs identify culture as always the biggest barrier in regards to making real progress with digital business. In terms of Gartner's definition, culture is the mindsets and practices that shape behaviour. Culture is passive resistance to change, Moyer noted. "It's very difficult for people to accept when they are being told they are moving to a new environment called digital business, but in order to do that they need to change. "It is a barrier for an organisation that wants to change as quickly as it wants to." She suggested hacking the culture as an approach to changing culture within the organisation. This approach is about finding a small part of culture that is vulnerable to change and starting there with the change. "A hack is something that is easy to do. You should be able to design and carry out a hack in less than 48 hours. It is something that will have emotional appeal. It is also visible to everyone in the organisation." In regards to the issue of privacy in today's world, Harris pointed out that privacy and trust are increasingly becoming powerful. The public view of privacy has now flipped because governments, businesses and citizens are taking action over data privacy, he said. Privacy is trending toward becoming a fundamental human right, most notably with the European Union's General Data Protection Regulation (GDPR). "Under GDPR and under the South African POPI Act, organisations have to know exactly what personal data they are processing, who has access to it, why it is needed, for how long and exactly where it is. "73% of marketing organisations are rethinking the way they look at customer data due to new regulations. There is rising scepticism among consumers; they see risks in adopting new technologies and are willing to forsake new services to avoid those risks." Harris continued: "For the very first time, a sizeable group of consumers and employees are not willing to give up security, safety or peace of mind in exchange for convenience. Marketers are responding by 'anonymising' individual data and segmenting customers into personas so that they can still create unique user experiences without putting their brands at risk." CIOs have a mandate to maintain data protection on sensitive data about customers, citizens and employees, he noted. "This means putting someone in charge of a privacy and management programme, detecting, and promptly reporting breaches to ensure individuals have control of their own data, especially where the law requires it. "Here in SA, the Protection of Personal Information Act puts important safeguards in place for consumers and citizens. Worldwide though, there is risk that large economies like China, India and the US could develop their own standards. If those countries put forward a different regulatory framework, compliance for multinationals could be confusing, difficult and costly." Harris believes distributed ledger systems like blockchain present great opportunity to manage such complexities. "This is one example of blockchain's application well beyond crypto-currency."